Labor Day came and went, and now everyone feels like summer is over. Technically, there's a little summer left. That means you should probably house as much ice cream as possible before it's truly soup weather. Dairy Queen could help you tie a bow on summer with a buy-one-get-one-free (BOGO) Blizzard offer in its mobile app. Like other ongoing deals in the app -- BOGO sundaes and a free Blizzard for downloading the app -- it's pretty easy to take advantage of the freebie. You'll find the BOGO Blizzards in the "Offers" section of the DQ app. 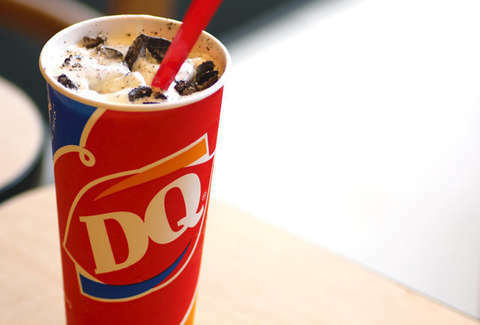 With the deal, you can get a second Blizzard Treat of equal or lesser value for free through September 15 at participating locations, which does not include DQs in Texas or Canada. Unlike Wendy's cheeseburger freebie or McDonald's offer of free fries every day this month, you can only redeem the BOGO Blizzard one time. If you aren't buying the whole "summer's not truly over" schtick, you can bridge the gap and go for the Fan Food chain's pumpkin-flavored Blizzard. It's an order that says, "I understand it's basically fall, but I'm an adult and I'll eat ice cream whenever I damn well please."